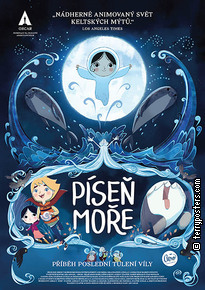 Directed by academy award nominee (for The Secret of Kells) Tomm Moore, this visually stunning fantasy animation combines beautiful artwork with deeper meaning and is inspired by the Celtic legend of the ‘selkies’ – beings that are human when on land, becoming seal-like creatures in the sea. A selkie father lives in a lighthouse with his children, Ben and the silent Saoirse, who are overshadowed by the loss of their mother. Saorise’s enchanted shell flute, which she uses to communicate, holds the key to a secret in their mother’s past, and Ben recognises that Saoirse is able to revive the legends their mother told them – if she could only find her voice and he could conquer his fear.